Blue Planet Writers’ Room was founded in 2008 by long-time colleagues Cora Bresciano and Susan Gay Wemette. Blue Planet’s talented teaching writers and teaching artists have worked with more than 4,000 students in the USA, England, Ireland, Scotland, Sweden, Northern Ireland, Mali, Japan, Canada, Mexico, Australia, Uganda, and China, improving their skills in writing, the arts, and global competence, and increasing their joy at learning and sharing with their local and international peers. Susan and Cora also provide dynamic professional development workshops for educators who want to increase their students’ level of global competence by bringing the world into their classrooms. Meet all the talented folks who keep Blue Planet spinning. Dr. Susan Gay Wemette is an arts educator with twenty years’ experience in theater and arts education. She holds a BFA in theater, an MFA in Acting, and a PhD in Curriculum and Instruction (focus on arts education). 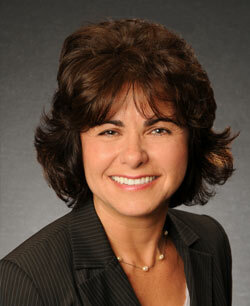 Susan has taught as an adjunct faculty member at Lynn University and Florida Atlantic University. From 2002-2009, she served as the director of education for a regional theater company, where she created collaborative drama and writing programs with students in South Florida and their peers in Rwanda, South Africa, and Kosovo. She also created drama and writing programs for the young women at the Transitions Home for Teen Mothers, residents of The Lord’s Place Homeless Shelter, and children with severe disabilities at Royal Palm School. In 2008, she received the Palm Beach County Cultural Council’s Arts Educator of the Year Award. Susan served as the Arts Integration Project Manager (2012-2014) for the School District of Palm Beach County’s $1.2 million Arts in Education Model Development and Dissemination (AEMDD) grant from the U.S. Department of Education, which focused on enhancing student achievement through arts integration, supporting teachers with high-quality professional development in order to sustain their integrated practice, and developing a model that can be replicated in other school districts. 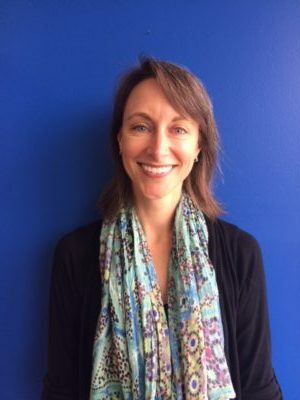 As a program evaluator, she has consulted with the Palm Beach County Cultural Council, Arts4Learning/Miami, The Crossroads Institute of New Orleans, The Kravis Center for the Performing Arts, The Center for Creative Education, FAU University Galleries, and Theatre Lab at Florida Atlantic University. Dr. Wemette is currently serving as consulting investigator on the School District of Palm Beach County’s AEMDD federal arts integration grant (2014-2018). Creativity in an Arts Integrated Third Space: A Case Study of Elementary School Students in an International Collaboration. (Doctoral Dissertation). It’s A Bird, It’s A Plane—No, It’s Superheroes in Your Classroom! With a background in several art forms, a wealth of experience in non-profit grantwriting and executive leadership, and an extensive background in developing and implementing international writing and arts programs, Cora brings a unique professional edge to her position as co-founder and lead consultant for Blue Planet Writers’ Room. She holds a Master of Fine Arts degree in English/Creative Writing from Florida Atlantic University, a Bachelor of Science in Music Education from Hofstra University in New York, and she is currently pursuing a PhD in Comparative Studies, with a concentration in Cultures, Languages, and Literatures, from Florida Atlantic University. Her research in that program focuses on the use of myth–both by fascist regimes to “other” and eliminate undesirable groups and by contemporary writers to reinscribe those “others” into the national narrative. Cora is currently a Visiting Instructor in English at Florida Atlantic University. She has served as the Cultural and Educational Projects Director for 3-Way Split, a multi-country business, arts, and education collaboration, and she has presented on her work in such venues as the Hawaii International Conference on Arts and Humanities, Florida Atlantic University’s Global Education Conference, and the 3-Way Split International Forum in England. Her academic and instructional writing have been published online and in traditional print, as well. As a creative writer, Cora has been the recipient of the Frank and Courtney Brogan Award for Fiction for her short story “The Mermaid.” As a theatrical composer and lyricist, she was awarded a number of production grants from the Broward Cultural Division for her children’s musicals, which have been produced in theatres in Florida and New York. Cora’s personal background is as international as her professional experience: raised in a family of immigrants from two countries, in a house where three languages were spoken, she has a special interest in creating spaces where cultures can come together peacefully and amazing things can happen. “The Mermaid” and “American Cheese Under the Stars,” originally published, in traditional print, in Coastlines literary magazine. “The Mermaid” won the Frank & Courtney Brogan Award for Fiction, and “American Cheese…” was a finalist for the Brogan Award in Creative Non-Fiction. Recording of the presentation is available here. It begins at about 2:12. Up, Up, Down, Down: Is It Only The Young Who Can’t Sit Still for an Unfamiliar Cultural Experience? 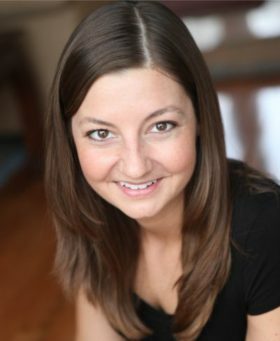 Jill Carr is a South Florida native who has been acting and teaching locally for many years. She graduated from Florida Atlantic University with a BFA in Theatre and a BA in Psychology; she then studied at American College of Education, receiving a Masters in Education with a focus on Curriculum and Instruction. Jill taught theatre at G Star School of the Arts, where she created and implemented curriculum for grade levels 9-12, including courses for the International Baccalaureate program. Recently Jill joined Theatre Lab at Florida Atlantic University as their Education Outreach Associate, where she assists in planning, designing, and implementing The Future PAGES Project, an educational outreach program dedicated to providing students with unique writing workshops and theatrical performances. Jill is so grateful to be a part of Blue Planet Writer’s Room, where she has the wonderful opportunity to combine her two passions, education and the arts. Ronni Gerstel, the creative spirit behind Flamingo Park Puppets and partner in ZingThing puppets, has been a professional puppeteer, puppet builder and instructor for 18 years. She regularly tours elementary schools throughout Palm Beach County, Florida, performing educational programs for the Mental Health Association, the Solid Waste Authority, and the Palm Beach County School District. In addition, she has produced and performed in original productions for the Jewish National Fund, the School District’s Multicultural department, the Palm Beach Zoo, and the Puppetry Arts Center of the Palm Beaches. As a builder, Ronni has designed and fabricated puppets for the Fort Lauderdale Museum of Discovery and Science, the Florida Reef Foundation, the Palm Beach County School’s “Character Counts” program, Young Singers of the Palm Beaches and more, in addition to building characters for her own productions. She is on the staff of The Puppet Network, a professional studio in Fort Lauderdale. 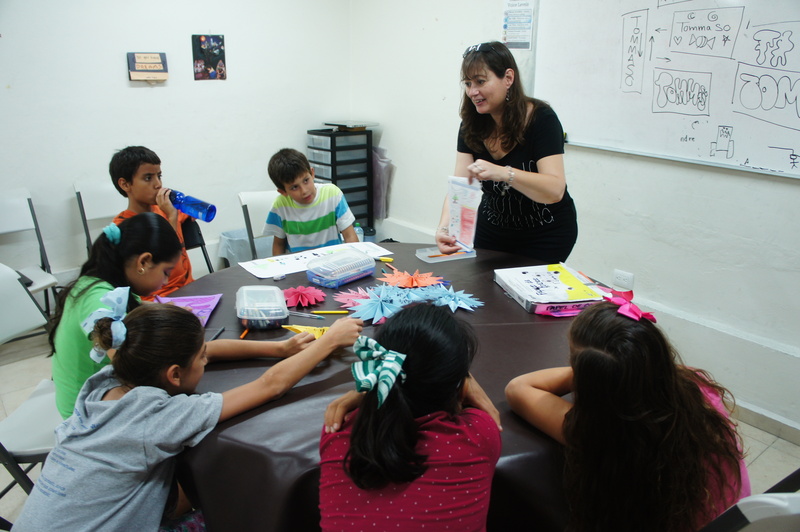 Ronni has created and directed puppetry programs for children in arts camps and after-school programs at the Kravis Center, the JCC, the Broward Center and in underserved communities. The goal of these programs is to encourage cooperation and creativity, and boost self-esteem among young people. In addition, Ronni has been awarded grants from the Community Foundation for Palm Beach and Martin Counties, and the Neighborhood Arts Residency Program to create puppet programs with young people, which promote tolerance and understanding. As an artist with the Center for Creative Education, Ronni partners with teachers to teach curriculum through the art of puppetry. She won five “outstanding collaboration” awards for her work with the Center. One classroom collaboration is featured in the documentary, ”Project LEAP: Learning Out Loud”, and her work has been featured on The Education Network. She also teaches seminars on “Puppets in Education” for the school district, local museums and art centers, and at Puppetry festivals. With a Theatre Arts B.A. from Palm Beach Atlantic University; teaching experience in the hills of Kilimanjaro, Tanzania; and years of professional photography experience, Mary Stucchi continues to look for ways to share her love for the arts with young hearts everywhere. While Mary specializes in business and theatre portraiture, she also performs onstage with the professional TYA (Theatre for Young Audiences) touring company, StoryMakers. Many weekends she stars in one of her favorite roles as education assistant for the Kravis Center’s DeGeorge Academy for the Performing Arts, which delivers professional performing arts instruction to economically disadvantaged youth. Her mission is to always “find her light” whether onstage or through her camera lens. 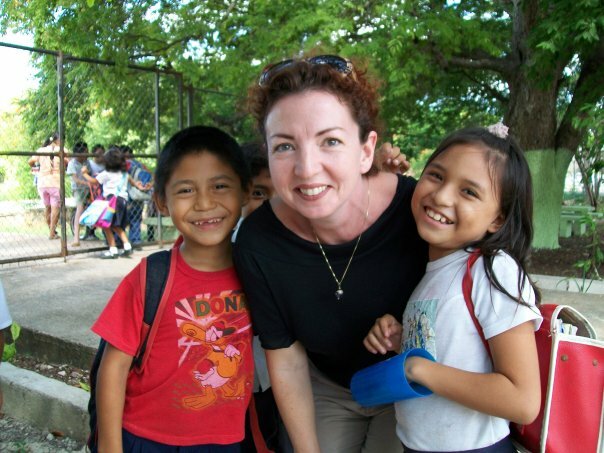 For Mary, giving back to students reflects that light.